The seven-time Formula One champion Michael Schumacher is still unable to walk, nearly three years after his skiing accident, says his lawyer. Felix Damm revealed the champion's condition at an ongoing court case in Germany where the Schumacher family is suing national magazine Bunte for claiming in December 2015 that he could walk with assistance and raise an arm. His manager, Sabine Kehm has denied the fact and the family is now suing the publication for an invasion of privacy for between S$60,000 and S$151,000. 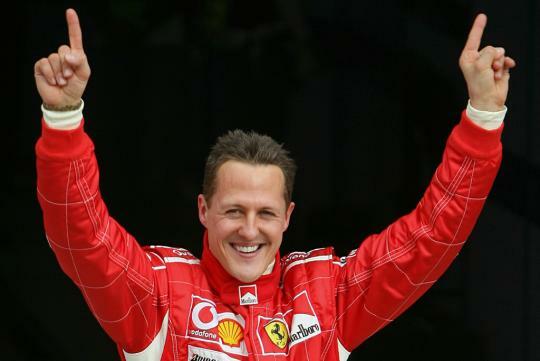 Officially, Schumacher is said to have returned home in Switzerland to continue rehabilitation. His lawyer refused to give more details of the world champion's condition. From what I read on Fchat, he can't even move on his own. I'd be surprised if he can do anything on his own or even communicate.